It’s a perennial dilemma for Mexico’s tourism industry: how to persuade potential visitors to think beyond beaches and appreciate the country’s cultural and historical treasures. 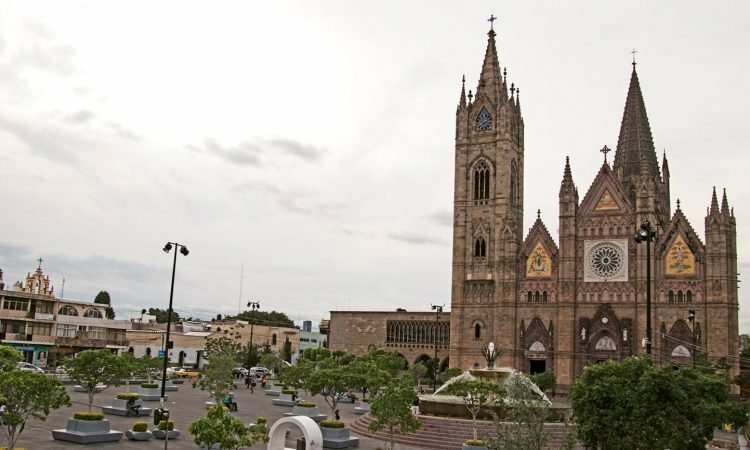 What Guadalajara lacks in sun and sand, it more than makes up for in history and culture. In fact, traditions that many associate with Mexico as a whole actually originated in and around Guadalajara, the capital of Jalisco state and the second-largest city in Mexico. During a recent media trip hosted by Guadalajara’s tourism board, our group explored the roots of those traditions, from ancient to colonial. After recent trips to the Riviera Maya’s Tulum and Chichen Itza, the Guachimontones archaeological site in Teuchitlan (about an hour’s drive from Guadalajara) was a pleasant change of pace in a couple of ways. First, the site’s distinctive pyramids, with their circular bases, were a huge stylistic contrast to the more conventional pyramidal architecture of the popular pre-Columbian ruins out east. The Aztec-built structures of Guachimontones, which date to the fourth century B.C., are also centuries older than the Riviera Maya’s ruins. Second, our group practically had the run of the place during our late-morning visit on a Saturday: no giant tour groups, just a few couples and families taking in the views of Teuchitlan and Lake La Vega. And even better, no souvenir stalls — the only vendor was a lone woman accepting donations for a spiritual alignment session, which involved lying face down on the ground, as if for a massage. More recent history is on display in the city center of Guadalajara proper. Services are still held within the historical center’s Guadalajara Cathedral, built in the late 16th century. Earthquakes destroyed the original towers and dome, which were rebuilt in 1854. Also still in service is the Palacio de Gobierno, completed in the mid-18th century. Though Jalisco’s congress no longer convenes there, it still houses government offices. The big draw for tourists in the Palacio, though, are mid-1930s murals by Jalisco native Jose Clemente Orozco, particularly the stairwell’s depiction of key World War II figures as well as Miguel Hidalgo, a leader in the Mexican War of Independence. One of Orozco’s most celebrated works, the “Man of Fire” fresco, resides at the nearby Hospicio Cabanas, a one-time orphanage that today houses a museum. A few blocks from the historical center, in the Americana neighborhood, is the Templo Expiatorio. The neo-Gothic church began construction in 1897 and wasn’t completed till 1972. At dusk, the surrounding plaza begins to fill with vendors of churros, tamales and other snacks. Also in the Americana neighborhood is the Love It Consulado hotel, host property for our trip. The 47-room hotel (43 standard rooms and four suites) is mere steps from Chapultepec, one of the city’s main arteries and packed with bars and restaurants. See http://hotelloveit.com.mx. But it’s more than art and architecture that account for Guadalajara’s cultural prominence in Mexico. For example, the city is said to be the birthplace of mariachi, and Guadalajara is the host city for an annual mariachi competition that attracts musicians from around the world. We didn’t really take in a mariachi performance, other than overhearing a couple of tunes by the roving musicians at Santo Coyote, whose Rainforest Cafe-meets-Medieval Times vibe has long made it a favorite for special-occasion dining. More extensive was a demonstration by practitioners of another area tradition, charro. Like our ranch culture in the U.S., Mexico’s charro history is rooted out west, with colonial landowners and their employees adapting ranching techniques to the terrain of the New World. We stopped at the Lienzo Charro Jalisco, the country’s oldest charro arena, during a weekday practice session, where we watched teenage boys and young men hone their roping and riding skills. One highlight was a horseman’s successful execution of the paso de la muerte, where the rider switches horses midstride like something out of a Hollywood Western. Another charro offered a bullriding demonstration; unlike the 8-second rule of rodeos, charros attempt to ride their bulls till the steer stops bucking. I was jokingly offered a chance to saddle up. At any rate, I wouldn’t have done it for all the tequila in … Tequila. Speaking of which, we spent a half-day in the town that gave the spirit its name. We took about a 90-minute drive from Guadalajara to Tequila, along the way passing the abundant fields of blue agave that earned the area a place on Unesco’s World Heritage list. We took a tour of Jose Cuervo’s flagship Rojena distillery, following the process from harvesting to fermentation to aging. A tasting included blanco (nonaged), reposado (6 months), anejo (12 months) and extra anejo (18 months). For those accustomed to drinking tequila by pounding shots or with its taste masked in a margarita, the tasting sought to illustrate that tequila in its pure, 100% agave form can rival the complexity of single-malt scotch ­– a libation for connoisseurs, not power drinkers. Our group came away convinced. Mexico is unlikely to escape its association with, well, escapism, and U.S. visitors to Jalisco state are far more likely to end up in Puerto Vallarta, about a five-hour-plus drive west of Guadalajara. (A highway under construction promises to make the trip far quicker.) And I imagine most Mexico beach vacationers are content with small samples of history and culture: an excursion to ancient ruins during the day, a folkloric performance at their all-inclusive at night and so on. But for visitors who yearn to delve deeper, the cultural connoisseurs, I offer this advice: Head to Guadalajara and drink it in.